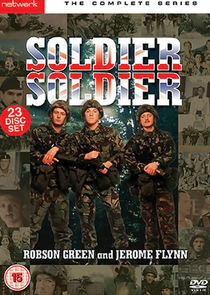 Soldier Soldier is a British television drama series. Produced by Central Television and broadcast on the ITV network, it ran for a total of seven series and 82 episodes from 1991 to 1997. It featured the daily lives of a group of soldiers in 'B' Company, 1st Battalion The King's Fusiliers, a fictional British Army infantry regiment loosely based on the Royal Regiment of Fusiliers.